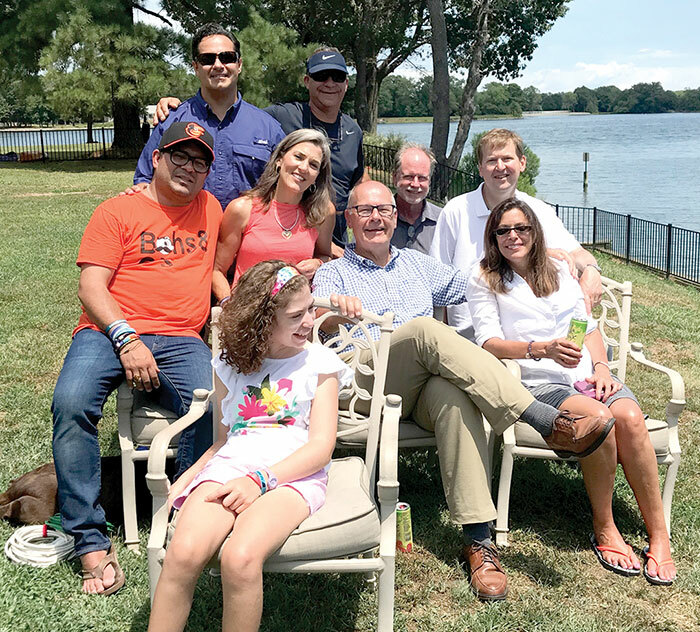 From left are (front row) Haley Smith; (next row) producer Mario Garcia, Lisa Smith, Harry Smith and Beth Collins; (next row) cameraman Julio Luzquinos, Bobby Smith, an unidentified sound man and Pat Collins. Harry Smith of Dateline NBC was back in the Northern Neck last July to follow up with Lisa Smith of White Stone and Pat and Beth Collins to find out how the legislation passed in 2015 to allow possession of CBD and THC-A oils has impacted their families. What was going to be a small segment on a weekend program in 2017 has expanded to a full hour episode to air at 7 p.m. Sunday, May 20, reported Lisa Smith. The follow up to the original “Growing Hope” episode that aired in June 2015 returns to visit the three moms — Smith, Collins and Teresa Elder — who championed the legislation that passed the Virginia General Assembly, to see how their lives and the lives of their children have changed. It also will introduce more patients who are being helped with the non-pyschoactive oils and follows yet another bill through the Virginia General Assembly that expands the conditions for which CBD and THC-A oils can be recommended, by allowing doctors to decide. It also focuses on a possibly soon-to-be-approved FDA purified CBD oil, Epidiolex, including an interview with the lead investigator, Dr. Orrin Devinsky, and coverage of related FDA hearings in Maryland.